What are popular Amish dishes? What are popular Amish desserts? Do Amish grow all their own food? How do Amish store food? How do Amish keep food cold? Do Amish eat fast food? Where can I find Amish recipes? What are some popular Amish dishes? The Amish culinary tradition includes both dishes developed by Amish cooks and those from the wider Pennsylvania Dutch heritage. These include scrapple, “haystacks”, cabbage rolls, pork and dumplings, egg noodles, breakfast casserole, and many more. Amish also make many dishes derived from other culinary sources. Pizza and Mexican-inspired meals are popular with some families. If you’re looking for recipes, try this listing of over 300 Amish and PA Dutch dishes. What are some popular Amish desserts? 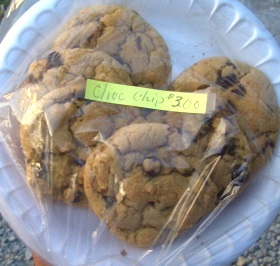 Baked goods are popular among Amish and non-Amish alike. Favorites include shoofly pie, whoopie pies, monster cookies, pudding, homemade ice cream, and many other varieties of pies, cookies, and cakes. Amish grow a lot of their own food in large gardens. Even non-farming families will lay out a sizeable produce garden, which is managed by housewives with help from their children. Dairy farmers have a constant supply of milk, and many Amish keep laying hens. Some Amish will also raise and butcher their own meat, from pigs or poultry. However, many Amish purchase foods from both local stores and larger outlets such as Wal-Mart and chain grocery stores. Amish keep food from spoiling using various forms of refrigeration and freezing. Amish women are also prolific canners, putting away dozens if not hundreds of jars worth of canned goods each season. How do Amish keep food cold or frozen? Different methods include iceboxes, propane-powered refrigerators, renting space in an English neighbor’s freezer, and if one is available, even cool springs or troughs of water (in more conservative groups). The cooling technology permitted depends on how progressive or conservative the group is they belong to. Here is an example of an English person providing freezer space for four Amish families, and an ice house in a more conservative community. Do Amish ever eat fast food? 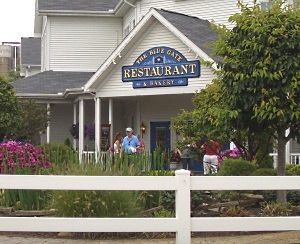 A number of restaurants serve “Amish-style” food. Shipshewana, Indiana. Yes, they do. A meal in a fast food restaurant might be considered a treat or a necessity when traveling long distances via Amish taxi. The unusual parking sign at the McDonald’s in Sugarcreek, Ohio hints at the large Amish population in the area. In a word, yes. Traditional Amish foods are meant to fuel hard-laboring farmers. Not all Amish farm anymore, but they still work hard. So the food remains hearty. You might want to pause or postpone your diet if visiting an Amish community. Amish cookbooks are plentiful. Some are published by non-Amish. In many cases, Amish will publish their own cookbooks consisting of recipes popular in a given community. You can also check out our collection of Amish and PA Dutch recipes. Williams, Kevin and Lovina Eicher. Amish Cooks Across America: Recipes and Traditions from Maine to Montana. Kansas City, MO: Andrews McMeel Publishing, 2013. Weaver, William Woys. 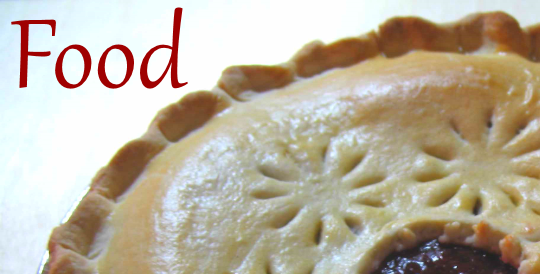 As American as Shoofly Pie: The Foodlore and Fakelore of Pennsylvania Dutch Cuisine. Philadelphia: University of Pennsylvania Press, 2013. To Cite this Page: Wesner, Erik J. “Food.” Amish America. Erik Wesner, 6 Feb. 2015. Web. [Date Accessed]. <http://amishamerica.com/food/>.